These plants are relatively easy to grow in the cooler parts of Australia. All varieties require a moist humus rich fertile soil. Elderberry trees (shrubs) will eventually reach 5 – 6 m and come into full production about 3 years after planting. Flowering in summer with pretty cream flowers followed by black berries ready to harvest in late summer to early autumn. The berries are used to make wine. 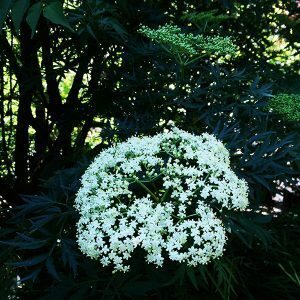 A better ornamental form than the the common form (Sambucus Nigra) larger flowers and it still fruits. Very attractive finely cut foliage, almost fern like. white flowers in spring. Flowers are followed by deep purple fruits. This is the Golden Elder, a fast growing large deciduous shrub. Golden yellow leaves. Flowers form as flattened heads of creamy coloured, fragrant blooms in spring to summer. Very easy to grow with foliage that emerges green, quickly turning to an attractive purple to black. Autumn foliage is a good red. New flower buds are pink, as the flowers open they turn to white. These three grown together should give excellent cross pollination, better flowers and better berries. A very interesting variety with foliage that is a mid green heavily speckled with white. Leaves have a very strong golden margin. 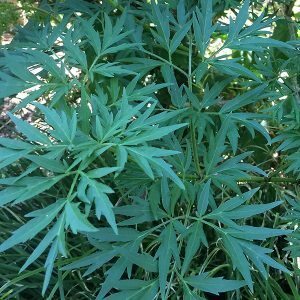 A fast growing variety with green lance spaded foliage with creamy white leaf margins. This is a cut leafed variety with very deep purple to black foliage.Flowers are pink from spring to summer followed by berries.